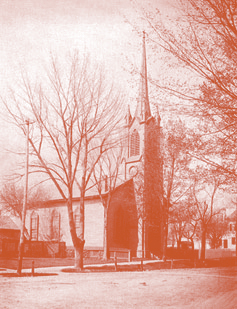 Since 1826, St. John’s Episcopal Church has been a place where Christians come together committed to being a living presence of Jesus Christ through the proclamation of the Word of God and the celebration of the Sacraments. The Episcopalian Society held its first meeting in the Northampton Town Hall. 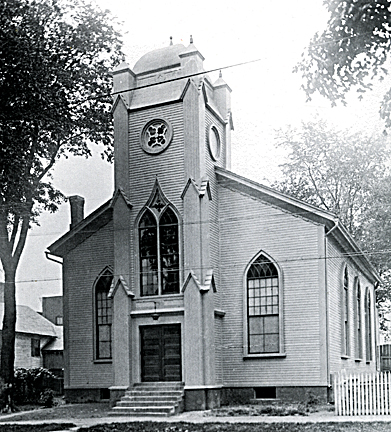 In 1829 services moved to a newly completed church on Bridge Street. 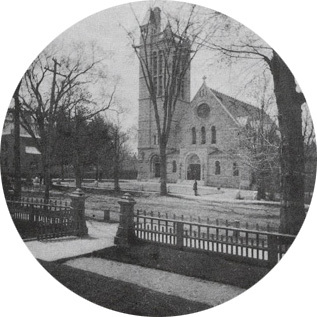 The Elm Street church was completed and consecrated in 1893. George Bliss, a New York banker and Northampton native, donated the funds and arranged for the construction of a new church on this land that his family owned. Stained glass in the side chapel memorializes his contribution. In 1900, at the death of Mr. Bliss, the family established an endowed fund to help maintain the building in perpetuity. For obvious reasons, upon moving to the edge of campus, St. John’s began to take increasing responsibility for ministry to Smith students. Today we are happy to offer various events for Smith students including our Midnight Pancake Breakfasts where we serve over 750 hungry students each semester. St. John’s has a long history of serving and protecting those in need in Northampton. Over the years, our parish has established the Northampton Cot Shelter, the Survival Center, and MANNA soup kitchen that has served a weekly meal to our homeless brothers and sisters since 1986.